The 3 star umrah package 07 days includes a lavish arrangement for you in Saraya Eman in Makkah and Elaf Al Mishal hotel in Medina. The Saraya Eman Hotel which is chosen for the housing in Makkah is a hotel which is highly demanded by people when they are off to complete their Umrah journey. 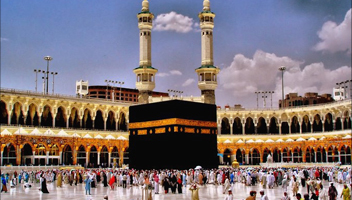 Hajj and umrah trip Ltd offers 3 star umrah package 07 days with flights from London, Manchester, Birmingham and all the uk. Hajj and umrah trip Ltd offers 3 Star Umrah Package 2017-2018 with flights from London, Manchester, Birmingham and all uk. The hotel offers free Wi-Fi to its customers and has an amazing, cosy restaurant within the hotel property.